The general macroeconomic uncertainty and the slow global growth projections are expected to continue to impact the global power generation markets. It is expected that the overall market for natural gas and liquid fuel based power generation in 2013 will be similar to that of 2012. In 2013, ordering activity is expected to remain focused on the emerging markets, which continue to invest in new power generation capacity. In the OECD countries, there is still pent-up power sector demand, mainly driven by CO2 neutral generation and the ramp down of older, mainly coal-based generation. Our outlook for the shipping and shipbuilding market in 2013 is cautious, although market conditions are expected to be better than in 2012. Despite the continued activity in orders, financing and overcapacity related issues are still visible in the traditional merchant markets. The orders placed in these markets focus more on fuel-efficient design and technology. Current emission regulations create interesting opportunities in environmental solutions. 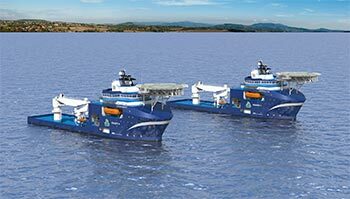 The contracting mix is expected to be largely in line with that seen in 2012, favouring contracting in offshore and specialised vessel segments. The outlook for gas demand remains healthy and the attractiveness of LNG as a fuel is supported by its low carbon intensity, global trade, and pricing. The overall service market outlook remains stable. A continued increase in the medium-speed engine and propulsion installed base helps to balance the market environment in regions such as Europe, where the market is expected to remain challenging - especially on the marine side. The outlook for offshore services remains positive. Interesting opportunities can be seen in long term service agreements for gas powered vessels. Demand for services in the power segment continues to be good. The outlook for the Middle East and Asia remains slightly more positive, supported by interest in power plant related service projects. The outlook is also good in the Americas, where there is a mix of marine and power plant customers.